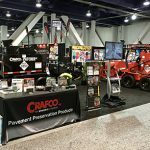 Pavement preservation leader Crafco will exhibit at World of Concrete, January 22-25, 2019, at the Las Vegas Convention Center. 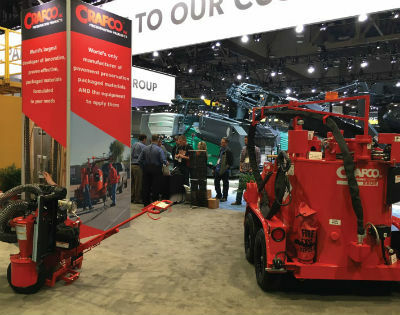 The largest international conference for the concrete and masonry construction industry, the event is expected to draw nearly 60,000 attendees from around the globe. Crafco will be amongst the 1,500 exhibitors on hand displaying the latest solutions in technologies, supplies, and equipment. Amongst its wide range of offerings, Crafco will be showing samples of HP Concrete Cold Patch Concrete™. This ready-to-use material is continually a standout at expositions because of its unique formulation and utility, and longevity that far exceeds that of other cold patch materials. Crafco will also have samples of TechCrete™, its hot-applied mastic for concrete, and Crafco RoadSaver Silicone sealant. 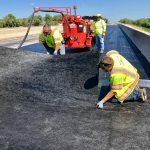 These specialized, polymer-modified repair and joint sealants boast the longest documented service life of such materials in concrete. 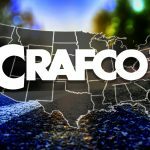 Crafco’s booth (# S12417) will display some of its most popular equipment as well, such as the Super Shot 125 melter, the Patcher II mastic applicator, and the Model 30 Dust-Control Router. These units are all equipped with environmental and safety features that benefit operators. Account executives will be available for consultations on crack sealing programs, worker safety best practices, material and equipment use, and late-breaking equipment enhancements.